Home › Personal Injury › Auto Accidents › Should you give the adjuster a recorded statement? The answer is normally no. Recorded statements give the insurance adjuster the opportunity to get information that will hurt your case. If the adjuster will try to get you to say things that will allow them to argue that you were at fault, that their insured was not at fault, or that you were not seriously injured. If a recorded statement is absolutely necessary, then our personal injury attorneys will prepare you for the recorded statement and be present for the recorded statement so that we can object to any improper questions and prevent the adjuster from twisting your words around in an unfair manner. (1) How fast were you going at the time of the collision? (2) How far away was the other vehicle just prior to impact? (3) How long did you have to react after you first saw the other car? (4) What could you have done to avoid the collision? (6) How serious are your injuries? (7) How many injury claims have you had in the past? (8) What past injuries or medical conditions did you have before this collision? (9) Was your view of the other vehicles limited or blocked? (10) Did the other drivers have anything blocking their view of you? (11) Did the weather play a role in the accident? (12) Was there any mechanical defect that caused the collision? 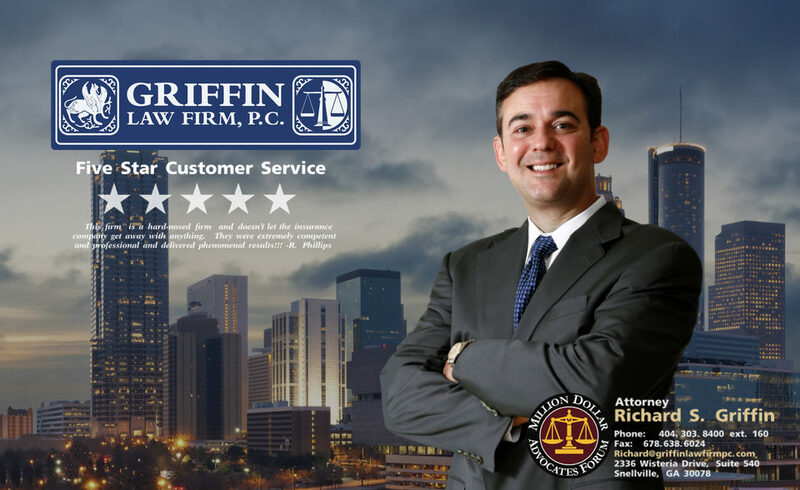 The Atlanta car accident lawyers at the Griffin Law Firm strongly recommend that you call us before you speak to any insurance adjusters. We can answer your questions, help you understand the claims process, provide you a settlement range, and can explain to you how we can help you with your personal injury, wrongful death, or workers’ compensation claim. This information is critical in making sure you don’t make a mistake that could cost you tens of thousands of dollars or more. Free Consultation: If you would like to discuss the pitfalls to avoid in recorded statements or any other aspect of your personal injury, wrongful death, or workers’ comp claim, then call us at 877-524-7070 or 877-PAIN-LAW.